Take a trip around the world without leaving your loom with the Weaving Around the World Pattern Pack. 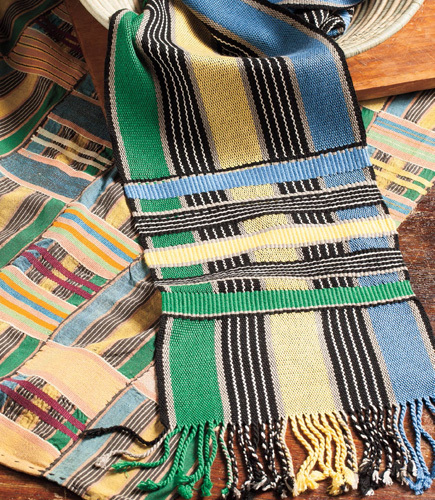 These handwoven projects for 4-shaft and 8-shaft looms are sure to delight! From Harris tweed to Scandinavian Krokbragd and African Kente cloth, the world is full of wonderful weaving. In the Weaving Around the World Pattern Pack you’ll learn how to weave 5 stunning projects inspired by international textile traditions, no plane ticket required. 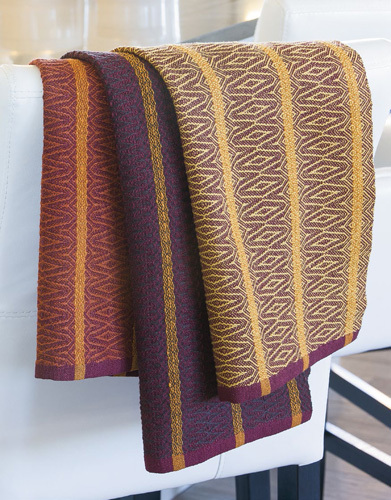 The 4-shaft and 8-shaft patterns in this pattern pack feature projects inspired by the weaving of Iceland, Ghana, West Timor, Russia, and the Pennsylvania Dutch. Each pattern includes information about the cloth inspiration from the designers so you can learn all about the traditions behind the project. Whether you want to learn a new technique or add some international flair to your weaving, this pattern pack has something for you. In her project, Kay Faulkner takes warp-faced sotis cloth which is traditionally backstrap woven and translates it into a project for a 4-shaft loom. The draft for these 8-shaft towels comes from a 1912 Russian draft. The color and patterns are reminiscent of glamorous imperial Russia. In Ghana, kente cloth is highly valued as a fabric of beauty, status in story. 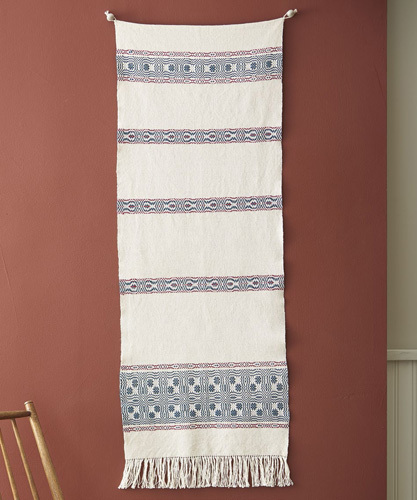 Instantly recognizable, weavers around the world adore this beautiful fabric. 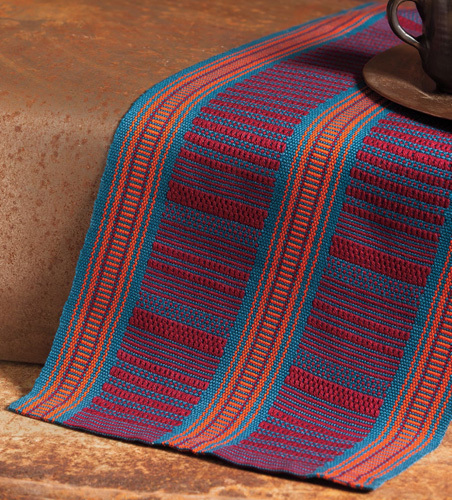 For her scarf, Suzanne Halvorson adapts this classic cloth for the 4-shaft loom. The show towel is a tradition you’ll find not only throughout Europe, but also in Pennsylvania. 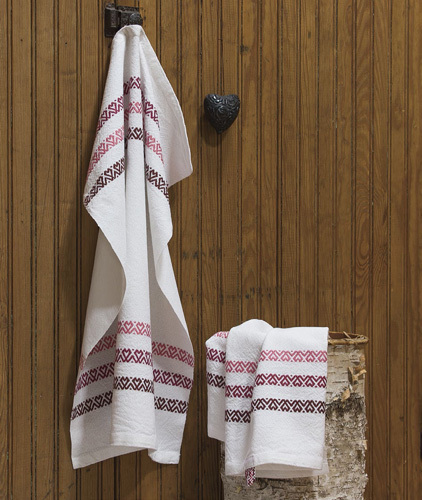 Tom Knisely’s 4-shaft overshot towels pay homage to the traditional show towels of the Pennsylvania Dutch.